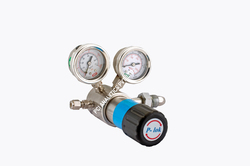 - Steady pressure building and controlled release ensure better pellet quality. - Settable parameters :- pressure, hold time & ram retracting time. - Press is enclosed in a powder coated metallic cover, which is easily removable for maintenance purpose. We offer hydraulic press that produces a force about 15 tonnes ude to make high-quality 13mm pallet used for IR/FTIR/XRF solid sampling. Our range of hydraulic press can be customised as per customer requirement. These are appreciated for precision functioning and durability. We offer hydraulic press that produces a force about 15 tons ude to make high quality 13mm pallet used for IR/FTIR/XRF solid sampling. 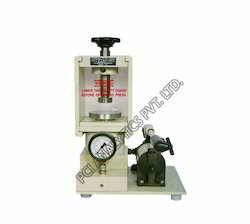 Our range of hydraulic press can be customized as per customer requirement. These are appreciated for precision functioning and durability. Most commonly used Die for IR/FTIR for solid sampling of 13 mm pallet size consist of Anvil & Plunger, Top & Bottom Die Port. Extractor Ring, O ring. Other sires like 10mm, 20mm also available. We are leading manufacturer and supplier of KBR die set. 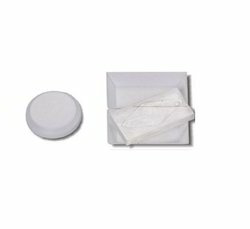 Most commonly used die set for IR/FTIR for solid sampling of 13mm pallet size. 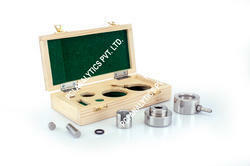 These KBR die set are available at market competitive price. 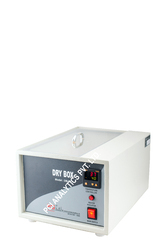 The ideal method of storage of FTIR/XRF Accessories which are affected by moisture since highly Hygroscopic in nature, which are to bestored in dry box. The cell holder is used to mount circular as well as rectangular windows & It can be used as Demountable Cell & Fixed Thickness Cell using different spacers supplied along with Teflon washers of different sizes. 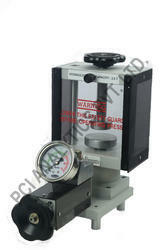 Mull Cell holder is used to mount circular window & for samples. 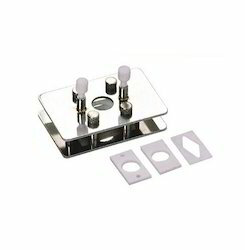 Cell holder is supplied along with assorted spaces of sin 0.1mm , 0.2mm , 0.SMM & 1mm. A complete Laboratory Hydraulic Press 2.0 17000.0 EACH 34000.0 producing a force about 2 tones use to make high quality 07mm pallet used for IR/FTIR/XRF solid sampling. 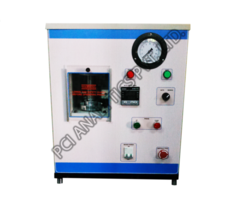 * 2 ton laboratory Hydraulic Press is compact, elegant and robost machine used by R&D,QA/QC labs for various palletizing application for IR/XRF ETC. *Hydraulic press with piston cylinder hydraulic Oil reservoir with Rotary wheel up word & down operation pressure gauge for 2 ton capacity.Dimension:150x250x300 high. NaCl / KBr windows are available in circular & Rectangular shape. Looking for IR - FTIR Accessories ?